It’s no secret that drivers invest in BMW vehicles for the thrills they manufacture on the road and the comfort they provide from the cockpit. BMW knows performance is what makes you stand out from the crowd. That’s why Pennzoil is the recommended supplier of genuine BMW Engine Oil in North America. The Original BMW Engine Oil formulated with Pennzoil® PurePlus® Technology is a synthetic motor oil made from natural gas that delivers enhanced engine protection and performance. One that starts from a pure base oil before being enhanced by our best additives to create a revolutionary motor oil developed to meet the specifications of the new BMW Twin Power engine generation. Pennzoil has pushed both the BMW M6 Coupe and BMW M4 CS to defy the limits of performance, first powering the BMW M6 Coupe through freezing temperatures in the Pennzoil Film JOYRIDE Tundra. 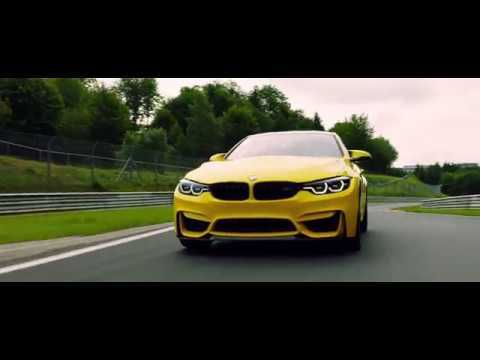 Now, Pennzoil has propelled the BMW M4 CS to reach its level of ultimate performance through the twists and turns of one of the most famous and demanding racetracks in the world–the Nürburging–in Escaping the Ring. Pennzoil is also the Premium Technology Partner of BMW Motorsport. BMW Team RLL competing in the IMSA WeatherTech SportsCar Championship uses Pennzoil Platinum™ with PurePlus® Technology in their racing cars. The same oil you can get at stores. Low synthesizer notes accompanied by electronic drumbeats. A curb painted red and white lines the inside lane of a racetrack while a high wall painted with red and blue rhombus-style blocks lines the outside wall. Inside a yellow oval, "Pennzoil" is written in black letters across a red Liberty Bell. Underneath the logo in yellow uppercase letters: "SYNTHETICS." "Pennzoil SYNTHETICS Presents…" In white letters: "BMW M4 CS." A yellow BMW sports car skids sideways as it rounds a sharp curve then speeds around the track with white smoke billowing up from the rear tires. "Zero to 60 miles per hour in 3.7 seconds." Needles on the dashboard gauges swing to the right. Smoke billows from the tires and tailpipes as the BMW zooms around a wide curve. "174 Miles Per Hour Electronically Limited Top Speed." The tachometer needle swings past "7" RPMs. Next, the parked BMW's raised hood reveals a pristine engine. The BMW speeds around a curve onto a straight adjoining track. Next, a man pours "Twin Power Turbo SAE DW-30 Original BMW Engine Oil" into the BMW's oil tank. "Original BMW Engine Oil Made With Pennzoil PurePlus Technology." Silver "M4" logos flanked by light blue, dark blue and red diagonal stripes adorn the side and rear of the sports car, as well as on the driver's seat. "PurePlus Technology Benefits: Horsepower Protection and Unsurpassed Wear Protection. Based on Sequence IVA Wear Test using SAE 5W-30." With the front wheels turning sharply to the right, the BMW slides left around a sharp curve. 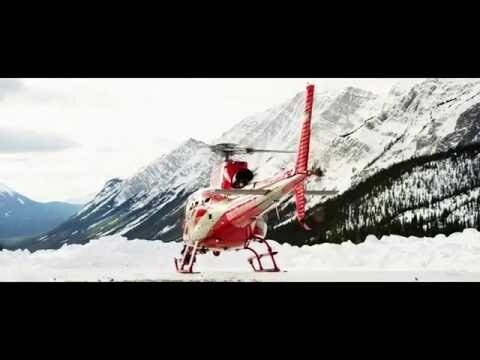 In the latest installment of the JOYRIDE film series, Pennzoil PurePlus Technology™ powered a BMW M6 Coupe to soar to new heights to take on the freezing temperatures of the tundra – where the extreme conditions demand peerless performance. See how Pennzoil gives BMW Team RLL the performance it demands on the track.